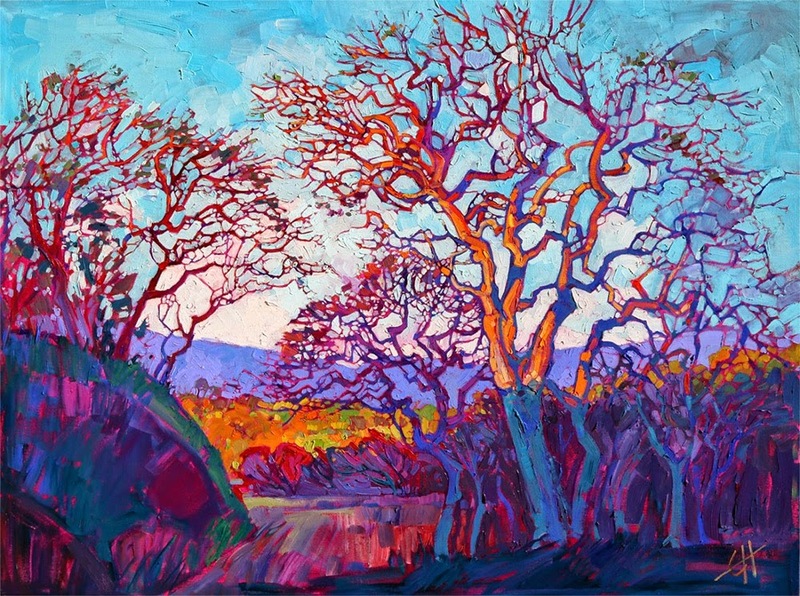 The beautiful rich pigments of Erin Hanson's paintings still do sing in harmony with each other. 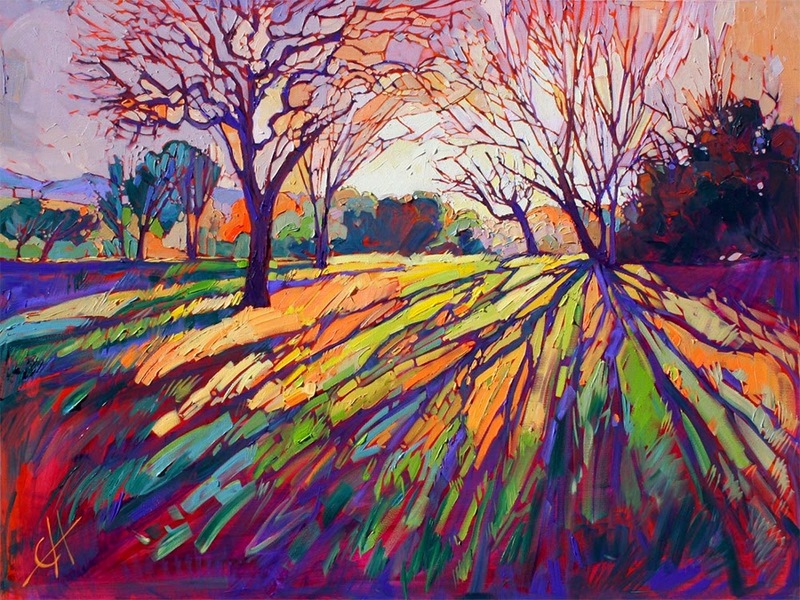 We all know that if you use too much pure pigments, you run the risk of having what some people call "a rainbow vomit". 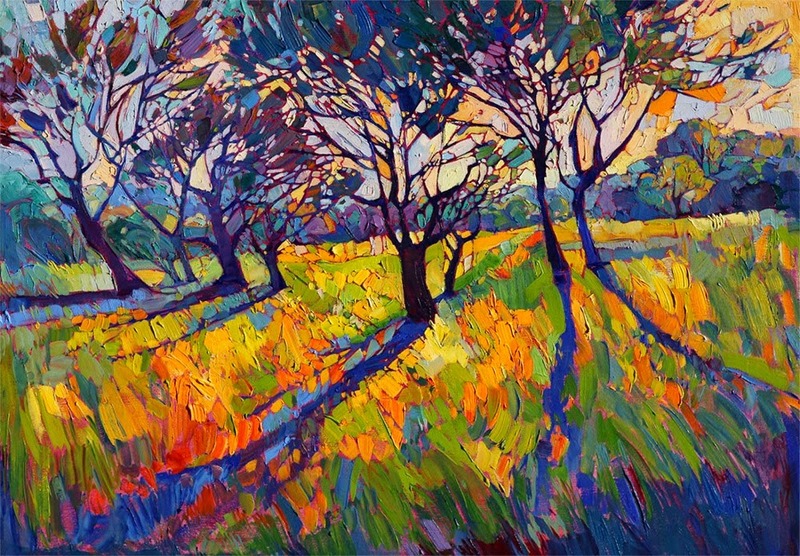 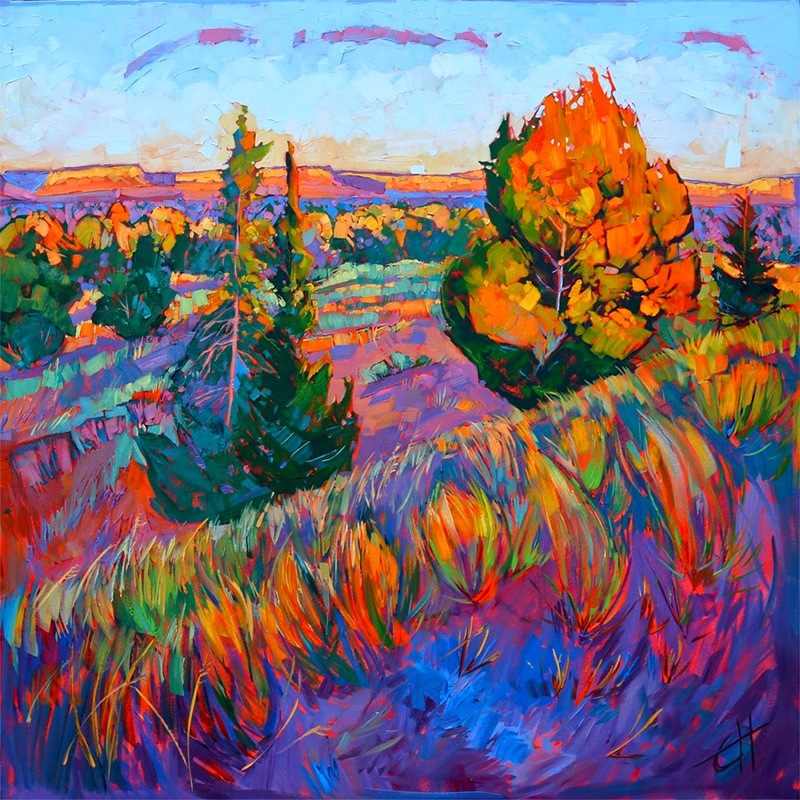 However, Erin Hanson manages to balance warm and cool colours superbly, and thus creates gorgeous paintings that mimic the warmth of the landscapes he paints.